Law students in ECU’s moot court. Find out how a law degree can lead to a wide range of career outcomes, from civil and criminal law, to policy, journalism, banking and even politics. The law profession is a varied one and this is reflected in the breadth and depth of most law degrees. For example, ECU’s Bachelor of Laws four year degree include all aspects of law including criminal, contract and constitutional law as well as legal ethics, legal writing and research. Toby Nisbet, ECU’s Academic Law Coordinator, says once you’re qualified there’s a range of different specialisms you can enter. “You don’t have to work in criminal or civil law. This profession can give you lots of options, you can find a niche area which works for you and which makes you happy and gives you greater job satisfaction. These can include bankruptcy, environmental or corporate law,” he says. There are around 70,000 lawyers in Australia and it takes an average of four months to find employment after graduation. Salaries are high, which make it an attractive career option, but it can be a competitive industry. Australia produces around 12,000 graduates a year but only half of these become lawyers. The remaining 50 per cent use their degree to help them secure work in other areas. “Remember law can give you transferable skills, such as analysis and research. People who study law degrees can then go onto become public servants or into politics,” Mr Nisbet says. In order to be a successful lawyer, you’ll need to be a good communicator as well as a listener. You may need to present an argument in a court room, so it may not suit shy or retiring types (although many law schools, including ECU’s, now provide moot court facilities to practice this element of law). A lawyer will need to produce a variety of legal documents so you need to be able to write concisely, accurately and clearly. Ultimately, you will be working with people and your decisions will affect their lives so you need to be personable and persuasive. “If you want to become a lawyer, take a look at those who you may be going to represent. Everyone has the right to a fair trial, but if you wanted to be a criminal lawyer, you may be working with persistent offenders, so you need to reach out to them on their level,” Mr Nisbet explains. 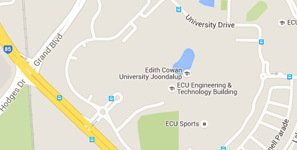 ECU was the first University in Western Australia to offer an accredited online law degree, in addition to its established on-campus degree course. According to Mr Nisbet, the online option attracts a high proportion of students at ECU. Law graduate Anu Kothapalli chose ECU because of its work placements. “The course offered practical opportunities in legal settings. The class sizes are small which led to a more interactive learning environment,” she says. Another recent law graduate, Dino Todorov, says there is a good rapport between students and lecturers. “Students are offered opportunities to participate in national and international competitions and the success I achieved at the VIS International Vienna competition helped me secure work at a commercial litigation firm. I couldn’t recommend this course enough,” he says. For more information about kick starting your career as a lawyer, check out the Bachelor of Laws course webpage.